PZ Cussons PLC is one of the oldest fast moving consumer goods (FMCG) manufacturing and retail companies in Nigeria. It began operations in 1899 first as an agricultural goods and textile trading company, then transitioned to a manufacturing company in 1948. It became a publicly listed company on the Nigerian Stock Exchange in 1972 and has since grown into a large company with about 120 billion Naira market capitalization and records annual sales of over 70 billion Naira. 1. Personal Care Strategic Business Unit which oversees its brands like Imperial Leather, Cussons Baby, Carex, Venus, Joy and Robb. 2. Home Care Strategic Business Unit which oversees its brands like Morning Fresh, Canoe, ZIP and Elephant Detergent. 3. Food and Nutrition Strategic Business Unit which has two distinct arms – PZ Wilmar Limited and Nutricima – and oversees brands like Mamador, Olympic milk, Devon King’s Oil, Nunu, Coast and Yo! 4. Electricals Strategic Business Unit which is the result of a joint venture with Haier Group, a global electronics manufacturing company; the unit oversees its popular Haier Thermocool product lines that includes Televisions, Microwaves, Fridges, Air Conditionals and Computers. 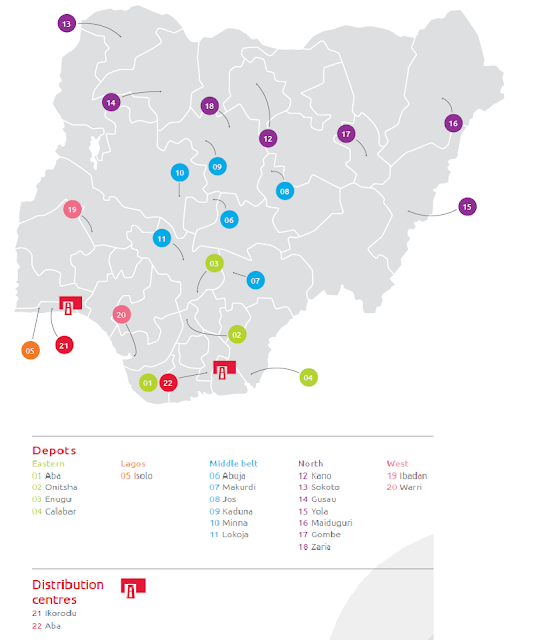 PZ Cussons primary market is the Nigerian market and has a deeply integrated distribution network across the country. Its main competition is Unilever Nigeria PLC who fiercely competes with it in its core strategic business units – Personal Care and Home Care. Other significant competitions are Chi Limited, FrieslandCampina WAMCO PLC and Dufil Prima PLC (makers of Power Oil) in its Food and Nutrition product lines. And in its Electricals Strategic Business Unit, the competitions are LG, Samsung, Panasonic and Carrier. This report will be analysing the operations and financial performance of PZ Cussons PLC and comparing with its closest equally listed competition, Unilever, from year 2011 to year 2015 (5 years). The analysis will highlight PZ Cussons PLC strengths, weaknesses and financial position. The industry PZ Cussons PLC operates in is a mature one with a life-cycle already gone past the introduction and growth phase. 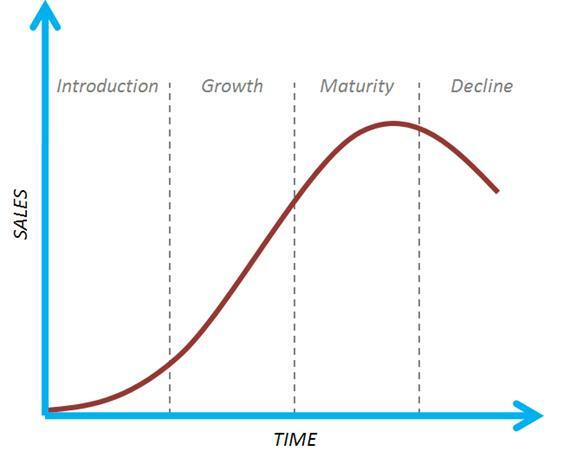 Most of the growth strategies companies in the industry use are mainly resuscitate dying brands by rebranding them every few years. The company’s major product lines – Canoe, Premier, Morning Fresh, Carex and Elephant Detergent – have been rebranded multiple times in the last decade just to keep sales from declining. The effect of this on the company’s annual revenue is one of slightly oscillating and often flat sales. The revenue figures for the last five years for PZ Cussons have been one of marginal growth on average with a year of decline in sales. And it is same across the industry. All the main players have declining or flat sales. 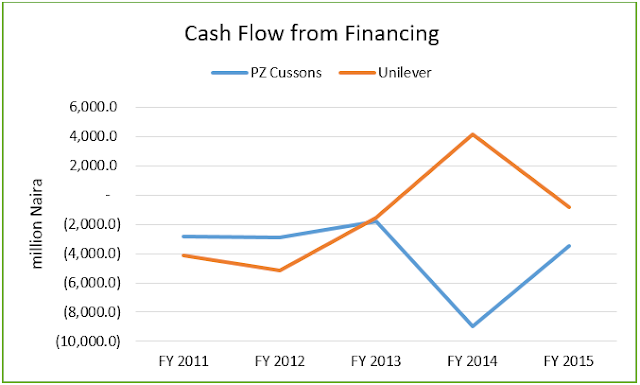 Importantly, Unilever which is PZ Cussons biggest competition recorded similar flat revenue figures with a year of declined revenue over the last five years. By sales value, PZ Cussons is the market leader and generates a lot more sales than Unilever, but it is falling behind Unilever in managing its cost of goods sold. Its gross profit margin is very much less than Unilever’s, resulting in Unilever realising more gross profit from less sales than PZ Cussons. PZ Cussons is, however, able to benefit from its deeply integrated and well optimized sales distribution network resulting in a much less operating expense compared to Unilever. This gives it a comeback as the industry leader by Operating Profit. 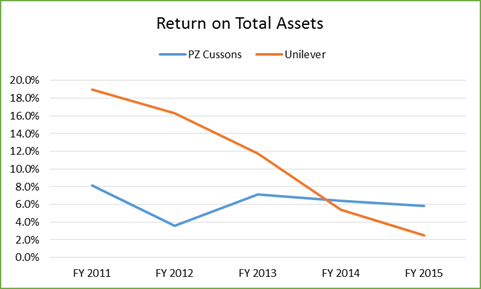 PZ Cussons has a lot more assets than Unilever, but over the past five years PZ Cussons’ assets have been flat while Unilever’s assets have been growing. 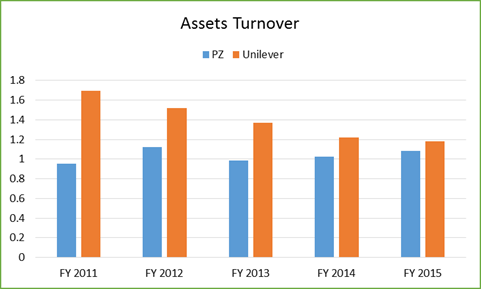 Unilever has a higher asset turnover – sales generated per asset – though it has been shrinking while PZ Cussons’ have been growing. 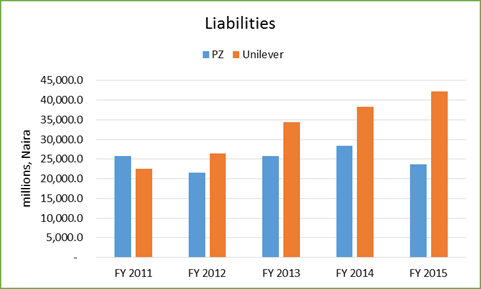 Five years ago, PZ Cussons had more liabilities than Unilever but over the years they’ve managed to cut down on their liabilities while Unilever’s liabilities have been going up. 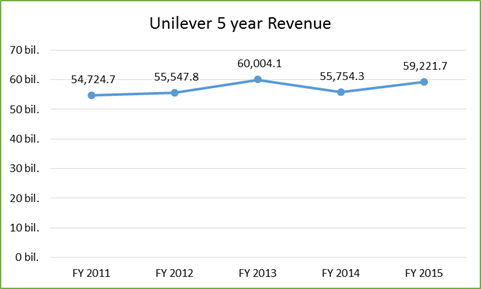 From the breakdown of the liabilities, Unilever has been leveraging, taking up more debts to finance its operations, while PZ has been debt-free, financing its operations from earnings. 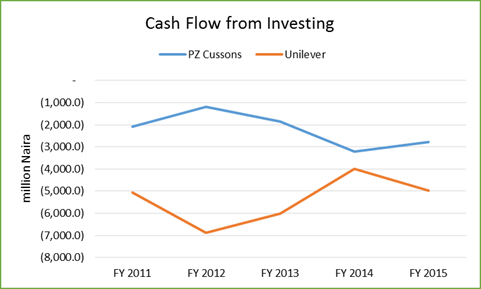 On the equity side, PZ Cussons have been generating a lot more for its investors than Unilever. Also PZ Cussons have been able to marginally grow investors’ equity over the last five years while Unilever has been destroying some of its investors’ equity. The Cash flow statement of the two companies are quite similar reflecting the nature of the industry. 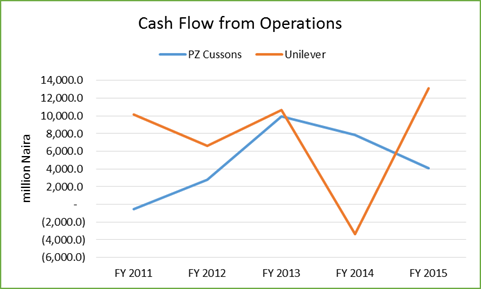 The pattern of the net cash flow from operations for both PZ Cussons and Unilever Nigeria are the same for the last five years, oscillating in relation to the macro-economic effect on the industry. There is, however, a noticeably difference in the pattern of the two companies net cash flow from investing. Unilever has been aggressively spending on capital projects, expanding its operations while PZ Cussons has been less aggressive in its capital expenditure. The net cash flow from financing for both companies have been negative over the past five years. PZ Cussons has not raised any new fund or capital in the last five years and the negative net cash flow from financing havebeen due to dividends payment. However, Unilever has raised new capital via long term loans but the net cash flow from financing is also negative because it has paid out more in form of dividends and loan interest than it sourced from the debt market. Comprehensive Ratio, Performance Analysis, Strengths and Weakness. These ratios span profitability measurements (Net Profit Margin, Return on Total Assets and Return on Shareholders’ Equity), liquidity measurements (Current Ratio), and leverage measurements (Debt to Assets Ratio and Total Assets Turnover). 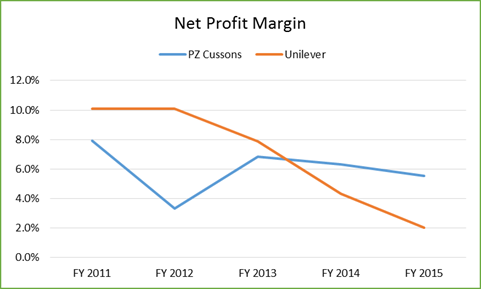 The table of the Net Profit Margin for PZ Cussons and Unilever are shown in the table below. Over the last five years, both companies have had their Net Profit Margin plummet but Unilever has experienced the most decline with its Net Profit Margin going down from a healthy figure of 10.1% to a very low figure of 2.0%. This an indication of poor cost management leading to expenses gulping the 98% of the revenue generated. This makes PZ Cussons a better run company than Unilever, cost management wise. The table of the Return on Total Assets for the two companies is shown below. Similar to the trend in the Net Profit Margin, Unilever has been experiencing a rapid decline in its Return on Total Assets while PZ Cussons’ has stayed flat. This is a further indication of poor financial performance of Unilever while PZ Cussons has a relatively better performance. 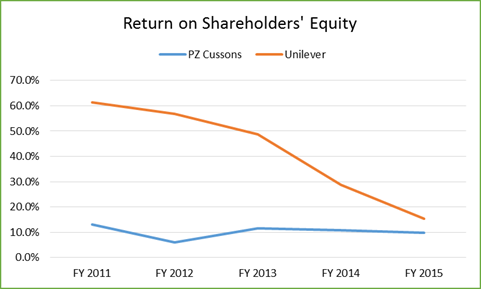 The table of the Return on Shareholders’ Equity for PZ Cussons and Unilever are shown in the table below. 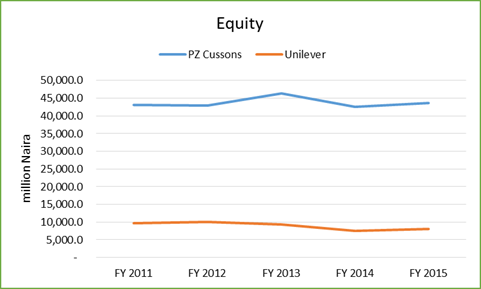 Due to the gearing (high leverage) in Unilever compared to PZ Cussons, the Return on Shareholders’ Equity for Unilever is generally higher than for PZ Cussons. However, the trend over the past five years has been bad for Unilever and flat for PZ Cussons. Unilever’s Return on Shareholders’ Equity has dropped from 61.4% to as low as 15.4% in the last five years while PZ Cussons dropped slightly from 13.1% to 9.9%. In general, both companies have an unimpressive Return on Shareholders’ Equity but it is partly due to the competitive and low margin nature of their industry. Comparing between both companies, Unilever seems to be in a worse state. Going by its last five year trend, it will soon have a very low or even negative Return on Shareholders’ Equity. The Current Ratio is the measure of a company’s ability to cover its current liabilities with its current assets. It is a liquidity measurement ratio. 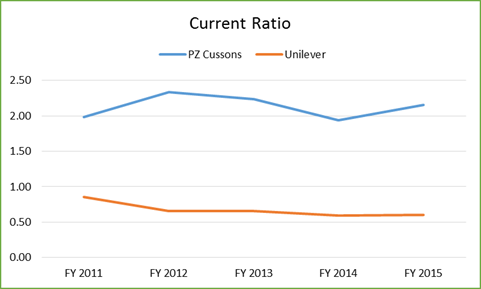 The table below outlines what it is for PZ Cussons and Unilever in the last five years. 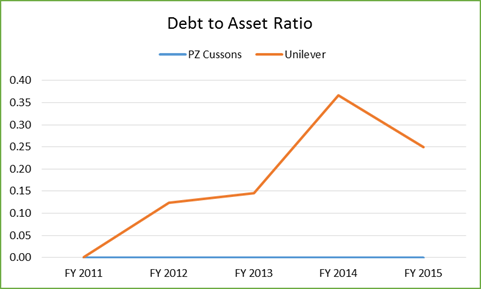 PZ Cussons has consistently had current assets large enough to cover its short term obligations (current liabilities), while Unilever had more current liabilities than current assets. This means Unilever is less able to withstand any sudden shock, from market or internal, compared to PZ Cussons. It will take very little external shock to make Unilever financially distraught compared to PZ Cussons. The table of Debt to Asset Ratio for the two companies are shown below. PZ Cussons has maintained a debt-free operation for the past five years, financing all its operations from investors fund and earnings, while Unilever has increased its debt funding over the same past five years. For an investor, it is a source of increased risk as creditors lay priority claim to assets before investors are settled. Total Assets Turnover is the measure of how productively a company is using its assets to generate sales/revenue. Below is the table of Total Assets Turnover for the two companies. 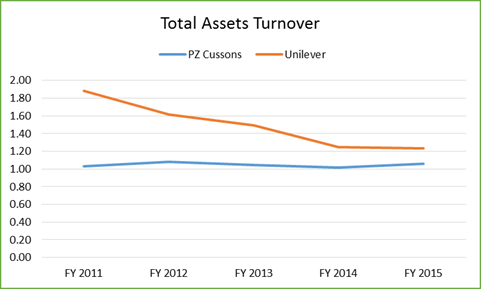 Again, due to its leverage, Unilever comparatively has higher Total Assets Turnover than PZ Cussons but the trend has been a downward one for the past five years while PZ Cussons’ has marginally improved. 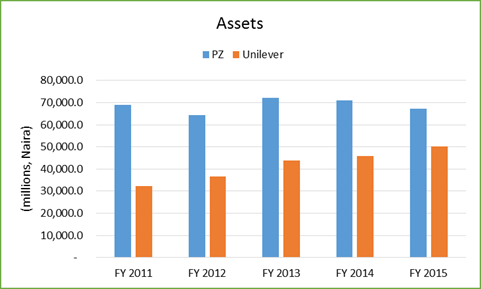 Projecting the current trend into the future, in a few years Unilever’s Total Asset Turnover will be less than PZ Cussons’ despite its significant leverage. This is an indication of poor performance for Unilever. In conclusion, PZ Cussons has a better performance than Unilever across all the key performance ratios and their trend over the last five years. From Net Profift Margin to Total Asset Turnover, and across all the performance ratio categories – profitability ratios, liquidity ratios and leverage ratios. 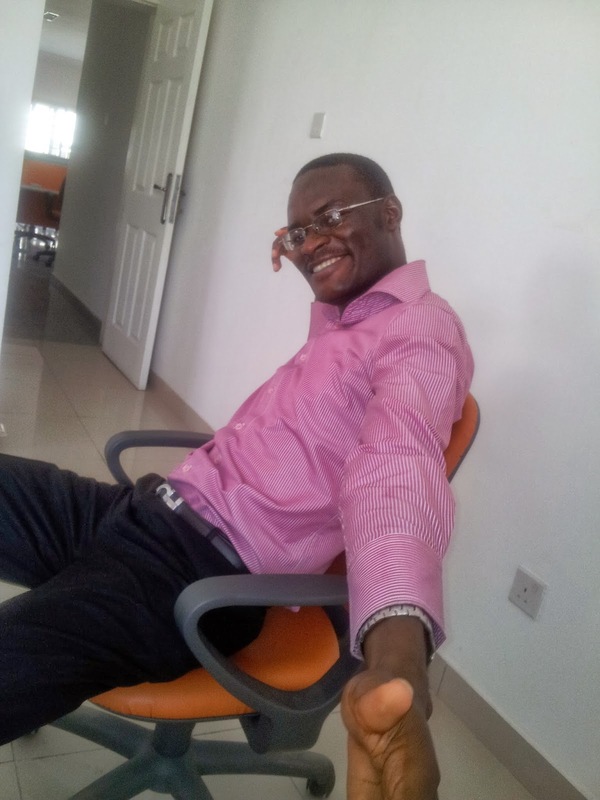 However, the management of PZ Cussons can improve the company’s performance by innovatively cutting down their operation expenses which is eating deep into their profit margin. One way is by deploying modern logistics solutions that counterparts in developed countries like USA and Germany use to achieve a much higher profit margin in same industry. 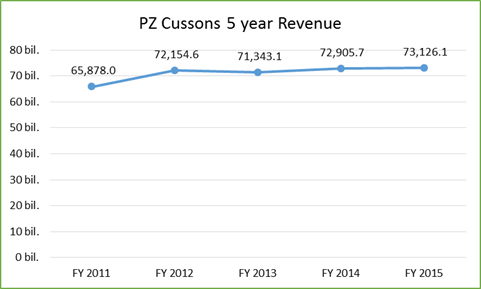 Also, PZ Cussons is incurring a lot of tax expense due to its debt-free operation. It is usually good for companies to have a mix of equity funding and debt funding, if just to reduce tax and overall cost of capital. On the surface, an investor looking to invest in the personal and home care consumer goods industry will be better off investing in PZ Cussons than Unilever. And its impressive balance sheet and cash flow statement is a strong indication that investors have minimal risks compared to other companies like Unilever with a less impressive balance sheet and cash flow statement. However, this year has been a tumultuous one for the industry and PZ Cussons posted a drop in revenue and profit for the financial year 2016. It's financial year calendar is different than Unilever's and does not follow the Gregorian (Jan to Dec) one. Historical audited report trend till 2015 shows PZ a financially better company than Unilever but this year's reports might make an investor wrong by stopping at those pre 2016 reports.